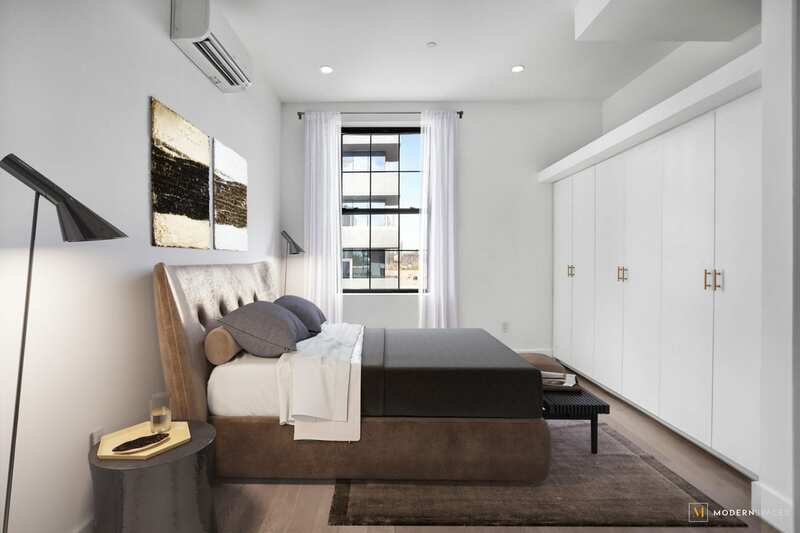 Inspired comfort blends with form and function at 5-12 51st Avenue. Smartly designed to maximize comfortable living with modern efficiency, this boutique condominium residence boasts a wide variety of features intended to make everyday life enjoyable and relaxing. 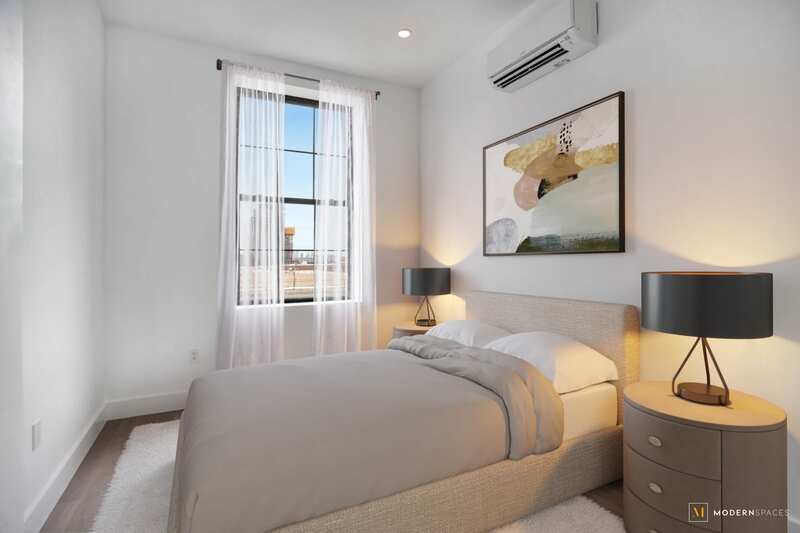 The five-unit building offers an intimate oasis in Long Island City’s charming Hunterspoint neighborhood. The mix of one and two bedroom units feature expansive modern layouts to fit everyone’s needs, along with a first floor duplex with a private backyard. Residences offer unparalleled attention to craftsmanship. 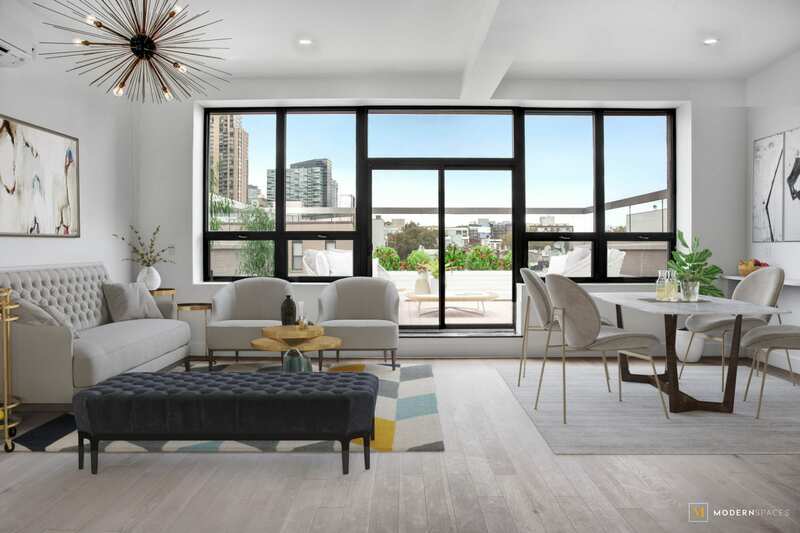 Each home’s bright, spacious layout integrates premium finishes and exclusive details, including hardwood oak flooring, a custom steel and brass chandelier, and unique storage spaces — all embodying the LIC aesthetic. Every aspect of these units is thoughtfully composed. Carefully considered details integrate modern efficiency, such as the smartphone operated Nest climate control thermostats. The highly functional kitchens are uniquely styled for each individual apartment. Each kitchen is enhanced with specific tile and cabinetry finishes paired with stainless steel appliances — including a Bosch range with an induction glass cooktop. Bathrooms are outfitted with a Durvit tub and toilet and accent tiling. Each unit is also equipped with a stacked washer/dryer. The distinctive first floor duplex townhome stands out as a roomy, private retreat. Every detail has been carefully thought out, from the custom staircase, to the fully built out 600 square foot rear yard with a handsome paver patio. The backyard has been designed for privacy, highlighted by a custom Asa Barak-designed modern fence and his unique 25-foot brick bench and counter with integrated built-in grill. When it’s time to unwind, the roof deck is a relaxing space, with barbecue grills, greenery and lounge furnishings, and expansive city views. Situated near historic homes, the building is conveniently located in a cozy neighborhood with everything in reach. Residents have easy access to Manhattan via the No. 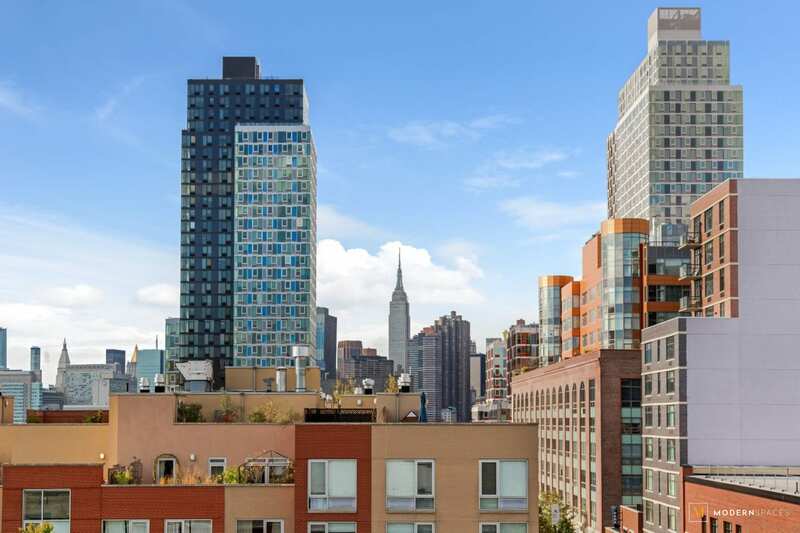 7 subway line, with shopping and dining nearby, along with LIC’s dynamic cultural scene. Visit one of the many galleries and museums close by, including MoMA PS1 or enjoy one of LIC’s lush parks and the waterfront. Settle in at 5-12 51st Avenue — a cozy, friendly place to call home. Inspired comfort blends with form and function at 5-12 51<sup>st</sup> Avenue. 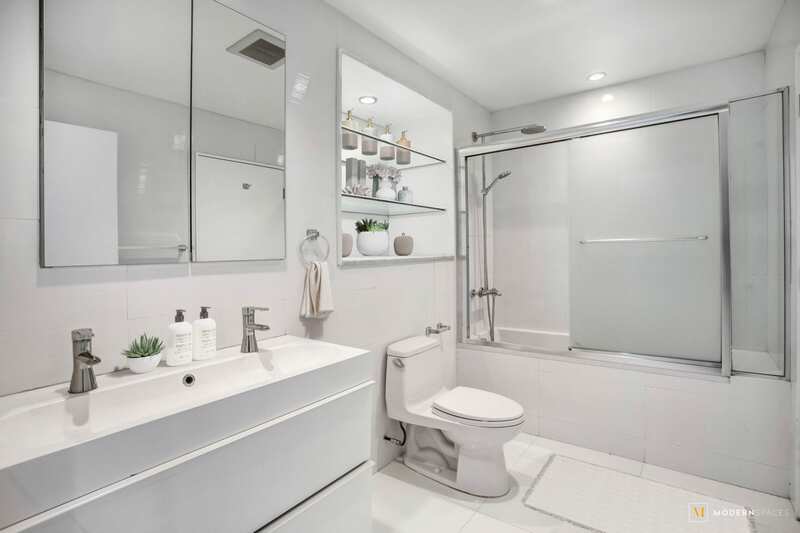 Smartly designed to maximize comfortable living with modern efficiency, this boutique condominium residence boasts a wide variety of features intended to make everyday life enjoyable and relaxing. 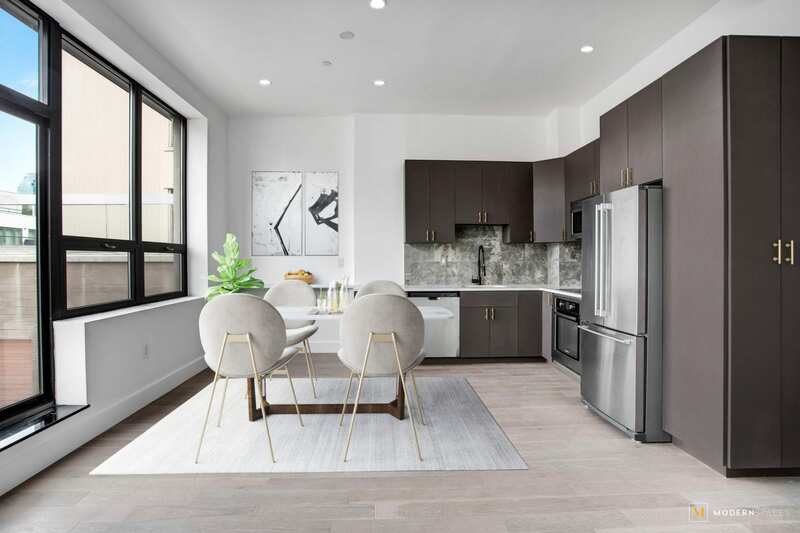 The five-unit building offers an intimate oasis in Long Island City’s charming Hunterspoint neighborhood. The mix of one and two bedroom units feature expansive modern layouts to fit everyone’s needs, along with a first floor duplex with a private backyard. Residences offer unparalleled attention to craftsmanship. 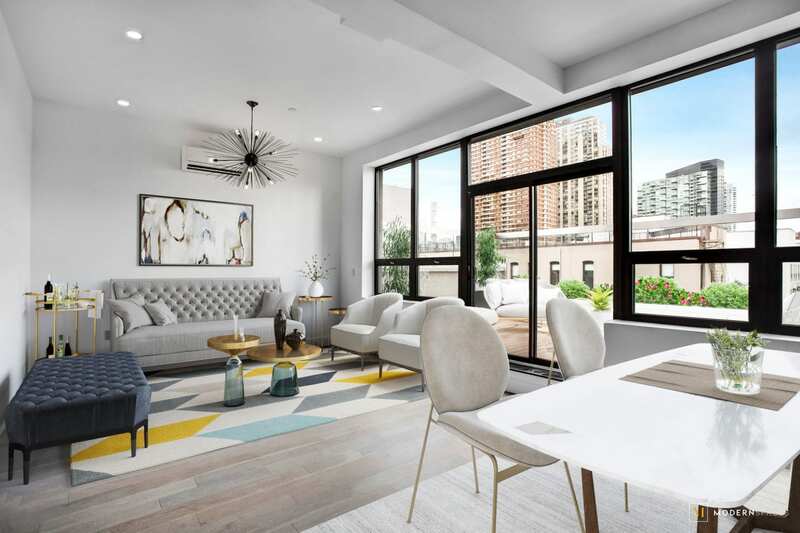 Each home’s bright, spacious layout integrates premium finishes and exclusive details, including hardwood oak flooring, a custom steel and brass chandelier, and unique storage spaces — all embodying the LIC aesthetic. Every aspect of these units is thoughtfully composed. Carefully considered details integrate modern efficiency, such as the smartphone operated Nest climate control thermostats. The highly functional kitchens are uniquely styled for each individual apartment. Each kitchen is enhanced with specific tile and cabinetry finishes paired with stainless steel appliances — including a Bosch range with an induction glass cooktop. Bathrooms are outfitted with a Durvit tub and toilet and accent tiling. Each unit is also equipped with a stacked washer/dryer. The distinctive first floor duplex townhome stands out as a roomy, private retreat. Every detail has been carefully thought out, from the custom staircase, to the fully built out 600 square foot rear yard with a handsome paver patio. The backyard has been designed for privacy, highlighted by a custom Asa Barak-designed modern fence and his unique 25-foot brick bench and counter with integrated built-in grill. When it’s time to unwind, the roof deck is a relaxing space, with barbecue grills, greenery and lounge furnishings, and expansive city views. Situated near historic homes, the building is conveniently located in a cozy neighborhood with everything in reach. 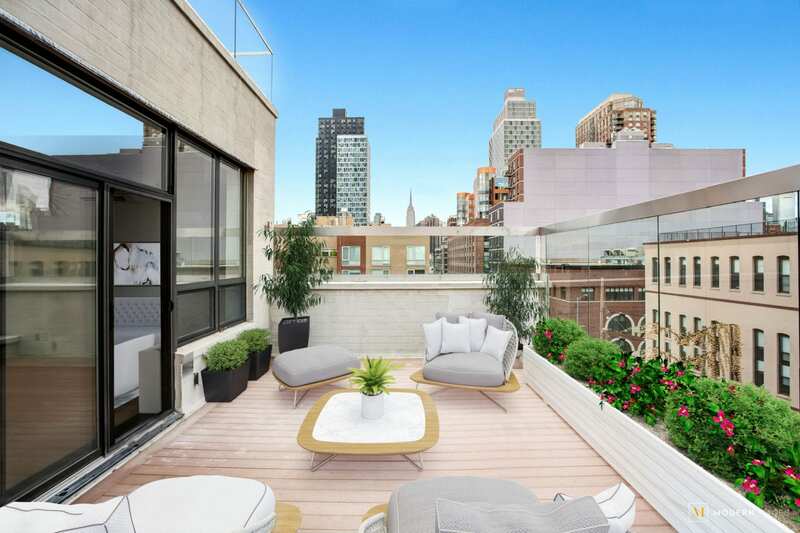 Residents have easy access to Manhattan via the No. 7 subway line, with shopping and dining nearby, along with LIC’s dynamic cultural scene. Visit one of the many galleries and museums close by, including MoMA PS1 or enjoy one of LIC’s lush parks and the waterfront. Settle in at 5-12 51<sup>st</sup> Avenue — a cozy, friendly place to call home.